5 Inspirational Ideas for Entrepreneurs! Let’s admit this: Entrepreneurship is not easy. The road to success is full of obstacles and challenges. But the true entrepreneur never bothers about these issues, and continues to cruise along the super highway of adventure, experiment and achievement. But somewhere in between, the person who risks his luck needs a bit of inspiration to stay afloat. No, this inspiration will not help him to achieve his goal of becoming the millionaire or bringing in ROI of 100%; but the motivation will fuel his ambitions and make him stronger. If anyone can hack into my super-secret Google Docs account, he will find small chunks of inspirational ideas and hyperlinks related to the liberating world of Entrepreneurship, all scattered around. And from this archive, I hereby present before you, some small ideas of entrepreneurship which has certainly inspired me. I hope you find it inspiring too! 5 Five: Start Small. Think Big. This short message propelled the company to capture 70% of the market share, within a month. A perfect example of Viral Marketing. Inspiration: 90% of entrepreneurs do try email marketing. But how many actually gets success? Be different, be creative and you will certainly hit the jackpot. 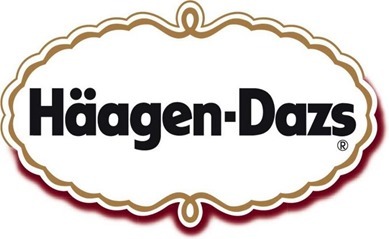 Häagen-Dazs is a billion dollar enterprise, which sells ice-cream all over the world. Analysts claim that a part of the success can be attributed to the fact that it has a unique name, sounding like Danish. But, how did they come up with this name? As per their Wikipedia page, Reuben Mattus in the year 1959 started this new company to sell ice creams. At the same time, he wanted to pay tribute to Denmark as citizens of this country had protected the Jews from Germans during the World War II. In a TV interview, his daughter Doris Hurley said that before the launch of this company, his father would sit at the kitchen table for hours, saying utterly non-sense Danish words till he came up with a combination he liked! As a matter of fact, Häagen-Dazs has no meaning. Inspiration: Have a vision for the company and be totally innovative with your brand name. Let people think twice after they hear your brand. Let them guess what exactly it’s all about. With more than 50 million passionate users and millions of images at its disposal, Pinterest is not an overnight success story. Its primary success came because of their dedicated, passionate and incredibly loyal fan base. The first true 1000 fans. The website was first launched in 2010, and after three months of its launch, the site only managed some 3000 fans. The founders were dejected and were planning to scrap the project. But suddenly, they observed one thing: out of these 3000 fans, some were really active on the site. They shared hundreds of pictures and invited their friends and relatives to join the site. Their founder Ben Silbermann was one of them. Inspiration: Be absolutely passionate about your product. Find the first 1000 true fans that are passionate and spreading the word. Never lose hope! 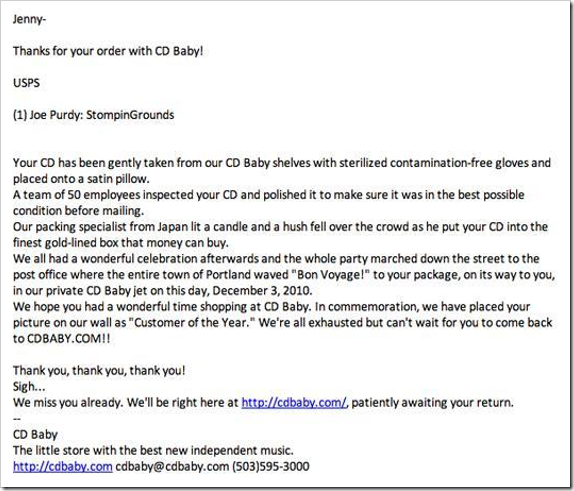 CD Baby delivers CDs. It is one of the most successful online music store ever created. And they have become so famous only because of their passionate customer service. Here is a sample of their order confirmation mail, which they sent to their customers. No wonder they get more repeat orders compared to new orders. Inspiration: David Ogilvy famously said, “Customer is not a moron. She is your wife”. Make your customer enchanted, delighted and she will make you successful. Five: Start Small. Think Big. “I met both Carl Page and Larry Page at a party hosted by a Stanford friend of mine in 1998. Carl gave me his card for eGroups and said “we’re hiring”. 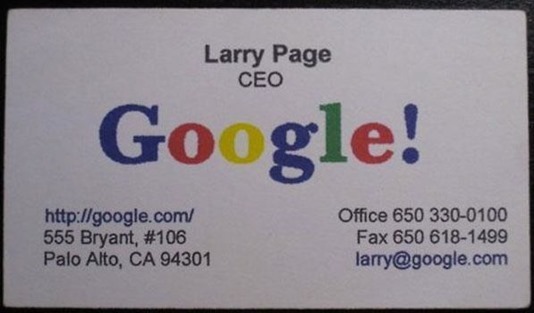 Larry gave me his card for Google—a flimsy bit of paper obviously printed by bubble jet—and said “we’re hiring”. Inspiration: Never think small. And never disrespect a geek; who knows he may become a billionaire few years down the line! Do you have any inspirational entrepreneur story to share? I would love to hear them out in the comments. 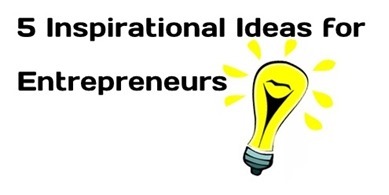 "5 Inspirational Ideas for Entrepreneurs! ", 5 out of 5 based on 1 ratings. It is indeed passion that plays an important role in one’s success. Not losing hope and taking risks are factors that can lead you to your goals. Never be afraid and always have the right support with you, they make every challenge easier. I know CDbaby people. When ever you talk to them, its like you are the most important person for them in the world. And they are passionate about what they do.. Really awesome company now sold to an NGO. Fun list of tips from the success stories of some real mega brands. I think there is a lot small business owners can learn from this. I enjoyed finding your post on the BizSugar community and hope you’ll drop by and leave a comment. Super! mostly like 5th point. NEVER think something SMALL, strong believe help you to grow. Thanks a lot for your encouraging words.. ! Wonderful article Mohul . . . I can’t thank you enough for sharing this. Really this is informative post for readers. All points that you are put are very clear and in simple to understand. Thank you so much Rizwan for the kind words.. Thanks! Thanks, for provide the information of human Ideas. Its nice blogs. Thanks a lot Arbind! Do go though some other posts on this blog.. each and every post is awesome! Thanks for reading and appreciating, Jagannath! Hey Mohul, good inspiration, It’s a whole show to understand marketing tactics. I read the Larry’s story few days back in a news paper. And today, Larry is one of the richest youngster in the world, holding about $1500 million. Thanks a lot Tauseef for the encouraging words.. !